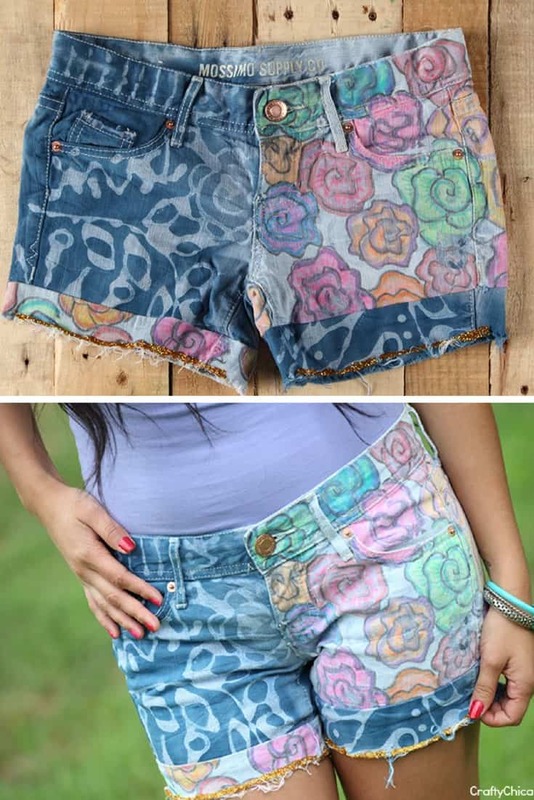 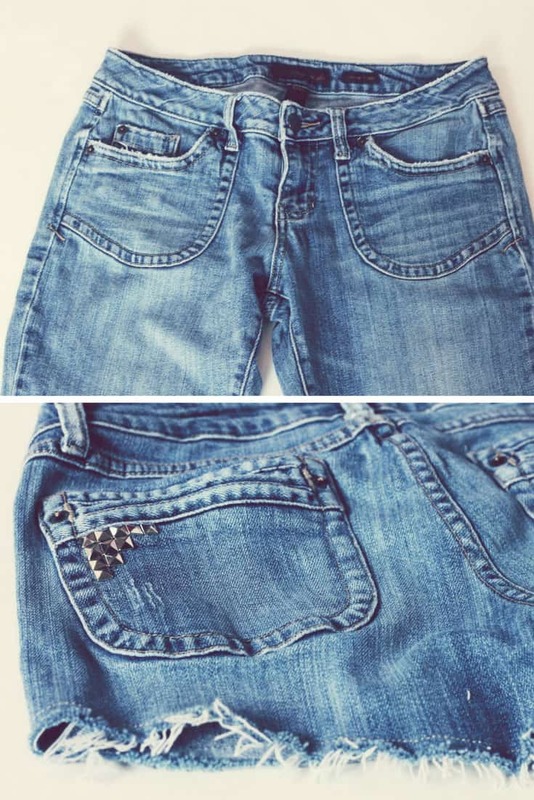 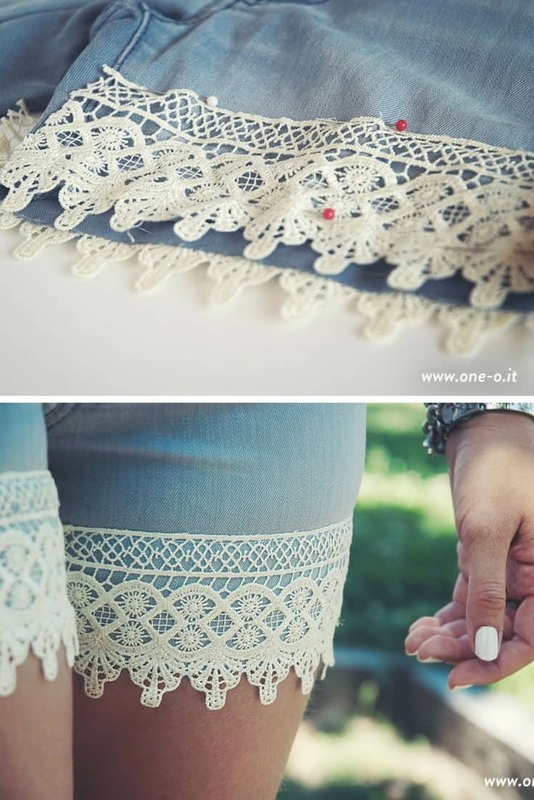 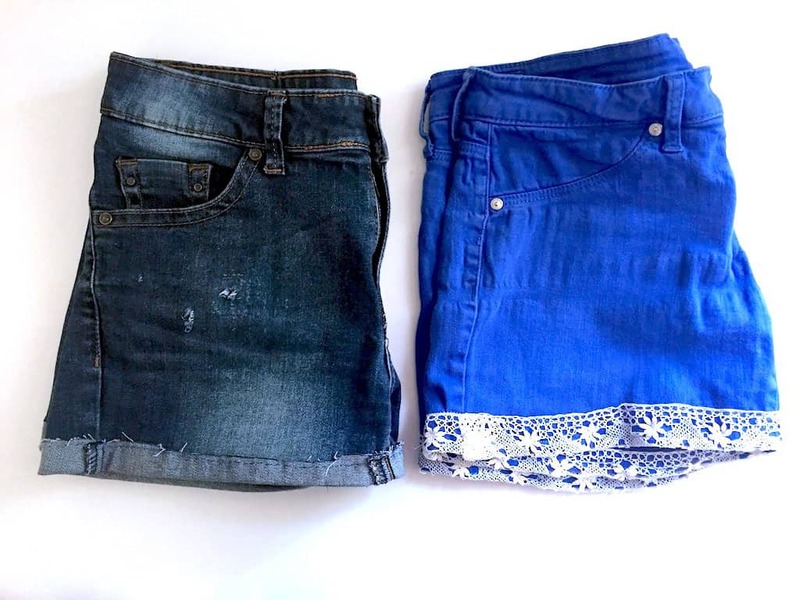 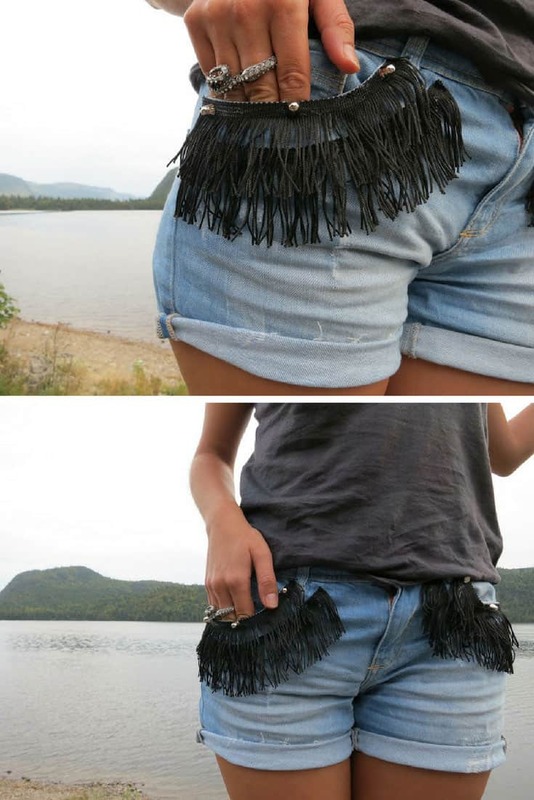 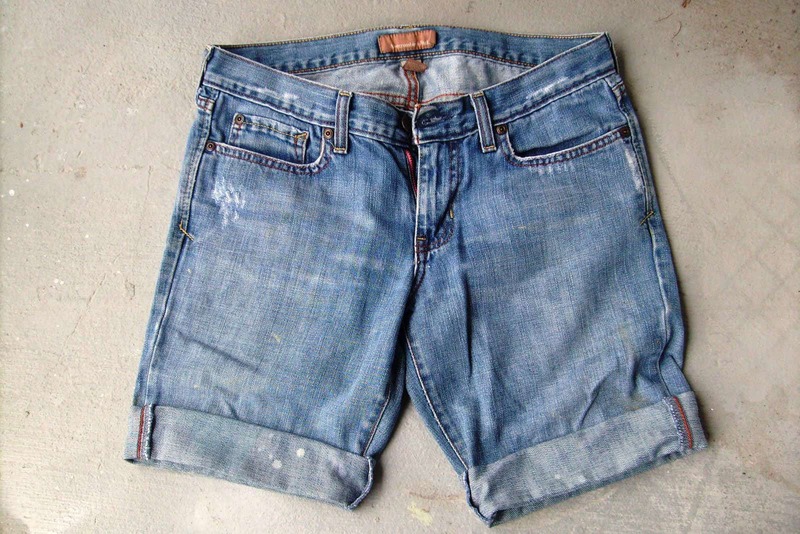 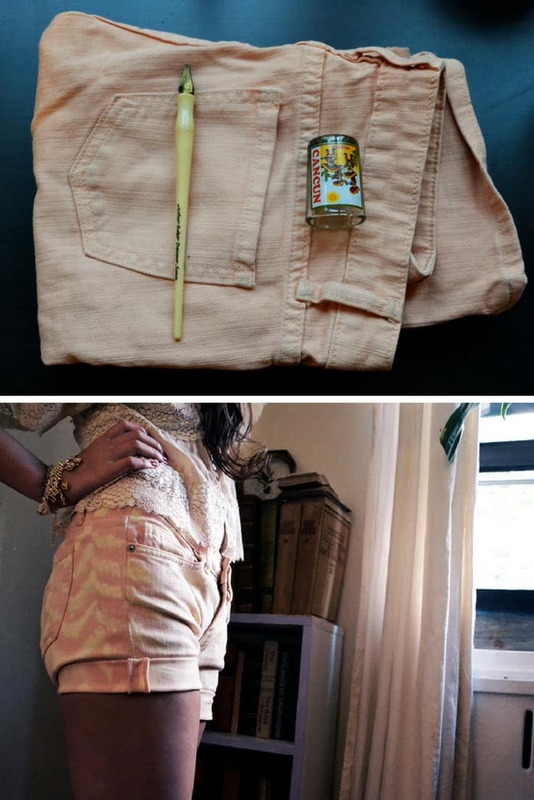 If your favourite pair of jeans have completely worn out it’s time to turn them into jean shorts for the summer! 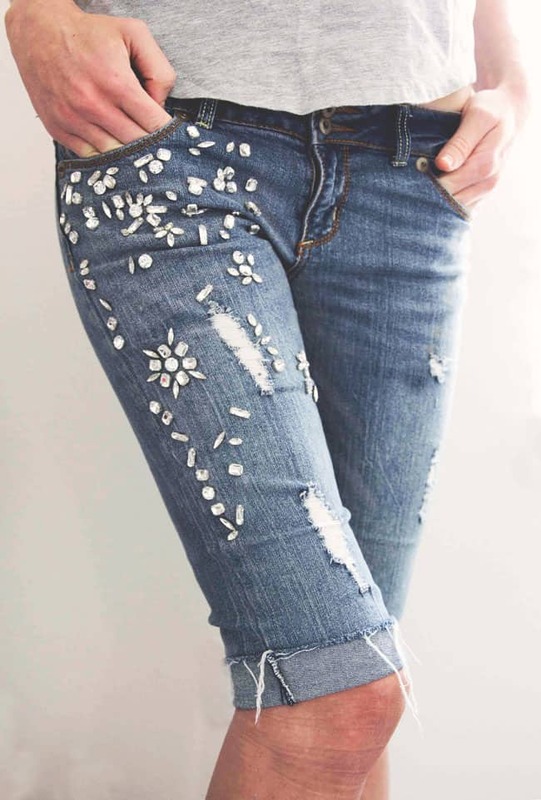 Our jean patch repair collection has been crazy popular with our readers, but a couple of people asked what to do if the jeans are beyond patching. 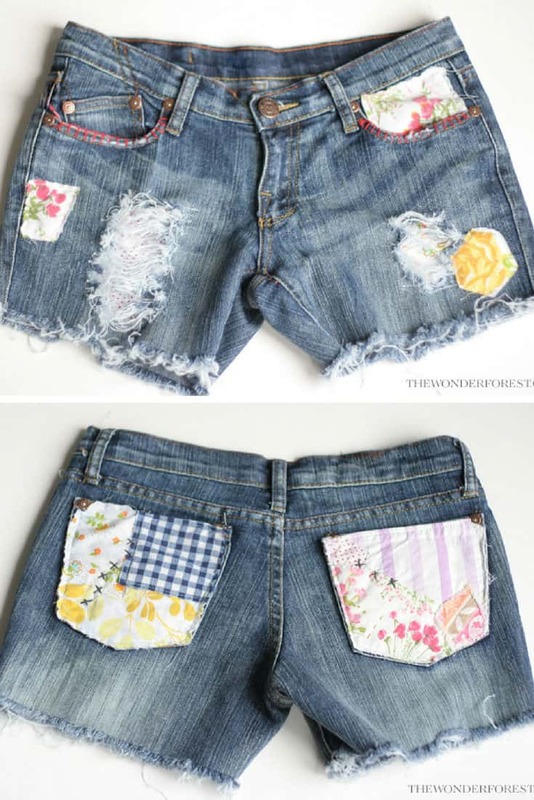 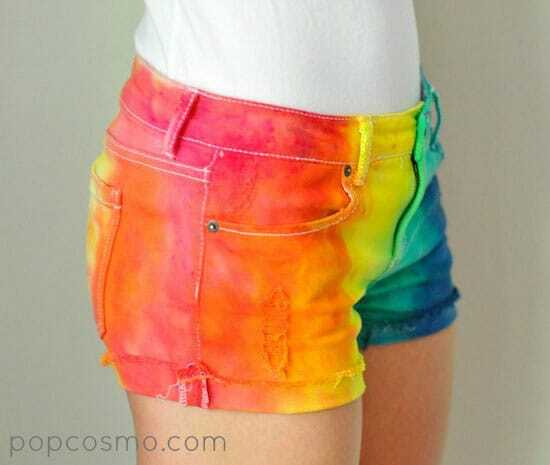 And of course the answer is turn them into shorts! 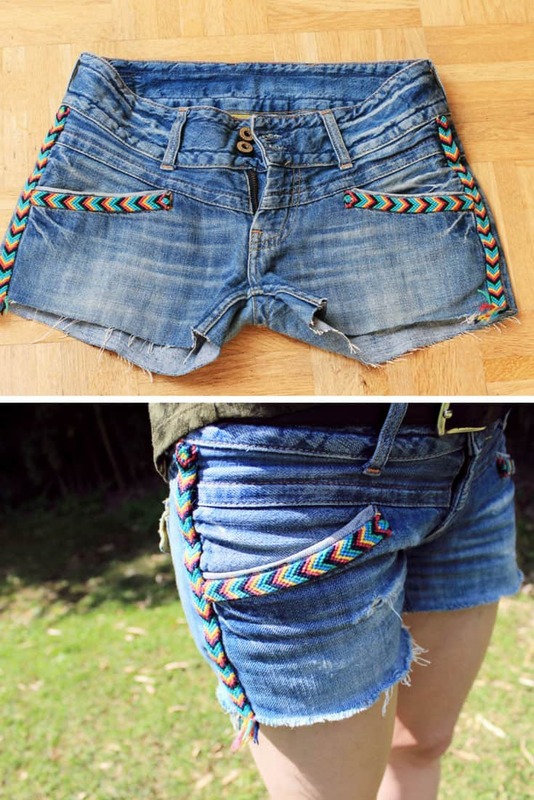 Jean shorts are so versatile and are the perfect way to get some extra life out of a pair of favourite jeans that still fit but have seen better days. 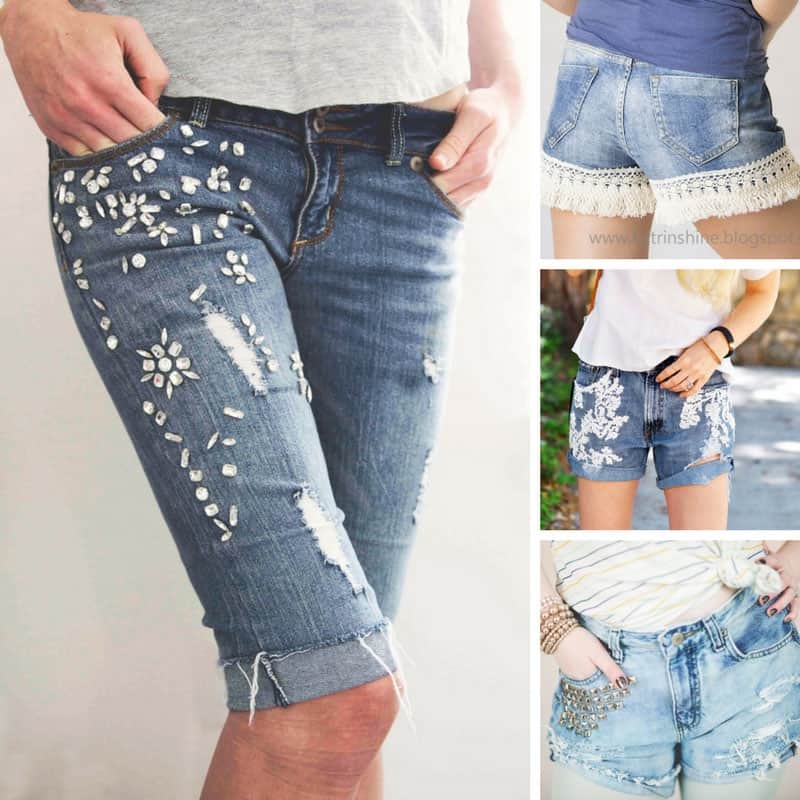 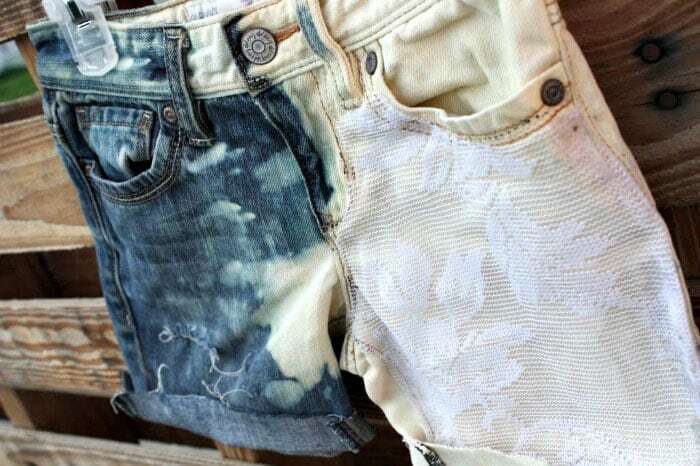 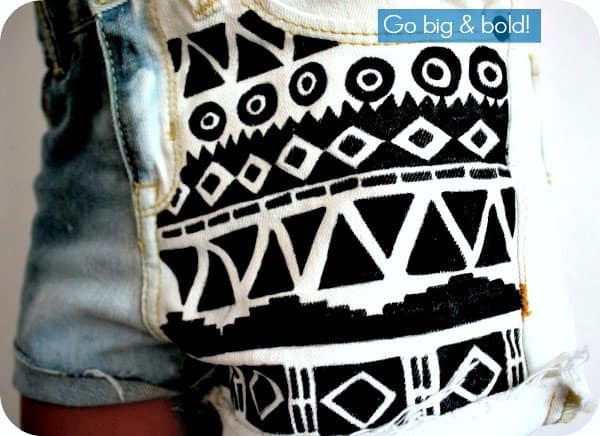 And there are so many fabulous DIY cutoff jeans ideas in this collection that you’ll be trawling the shelves at Goodwill looking for jeans to turn into shorts! 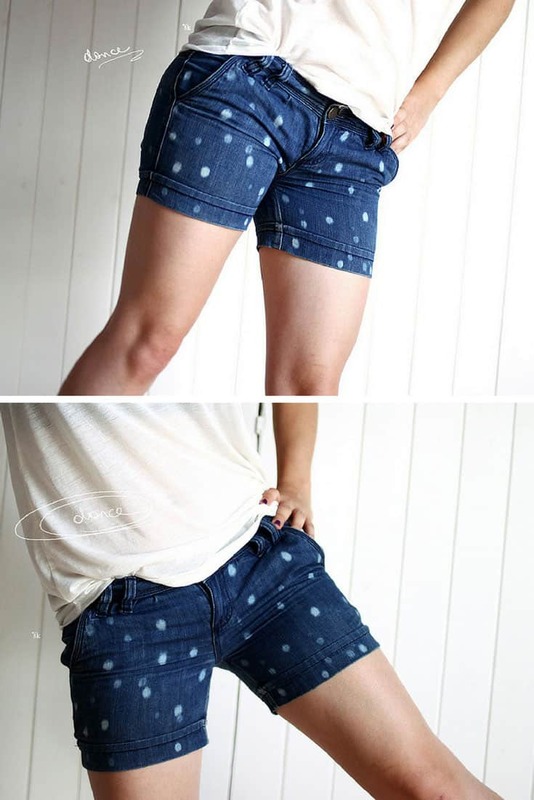 These fabulous bermuda shorts are the inspiration behind today’s collection. 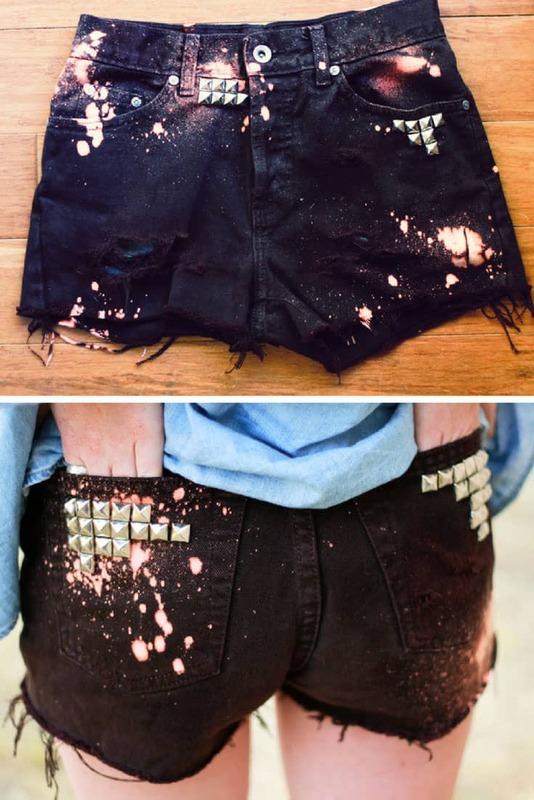 We LOVE the combination of the distressed denim and the crystals, and it’s good to see that you can create shorts in a longer length. 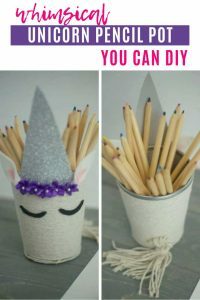 Of course you know that we can never stop at just one idea so we scoured the web to find a whole stack of tutorials to inspire you! 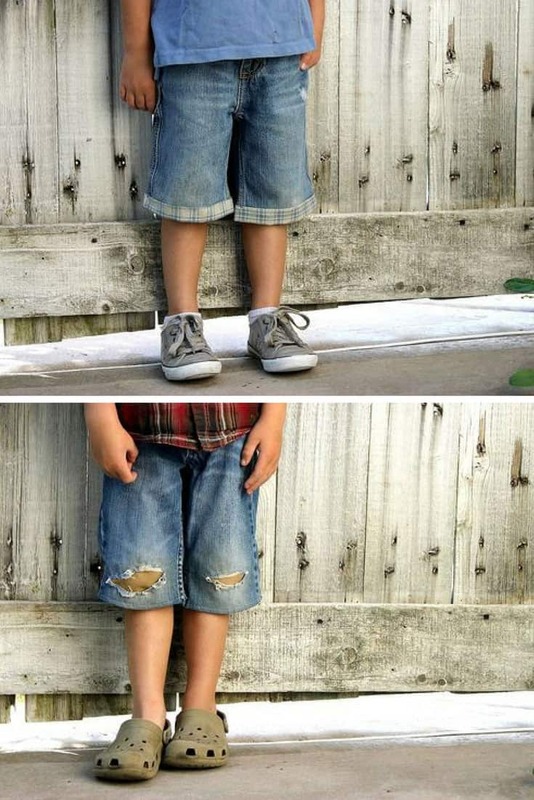 As always be sure to scroll all the way to the end so you don’t miss any of the great ideas. 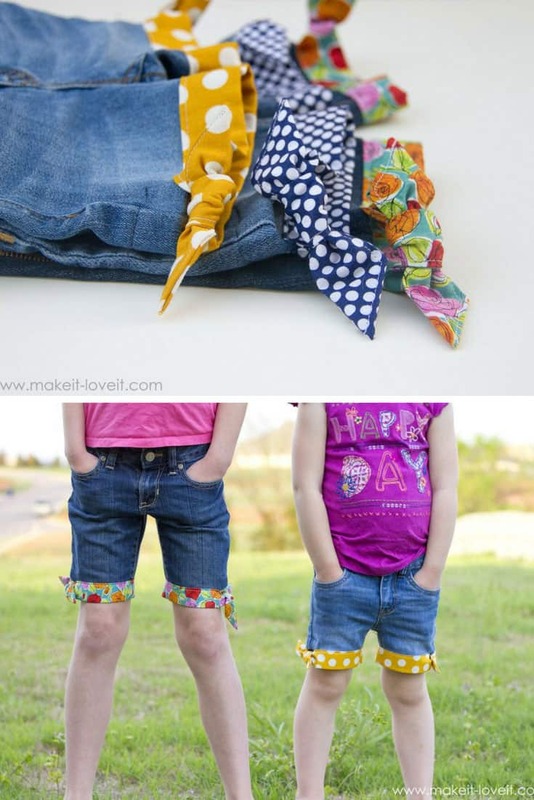 Click play above to watch the video tutorial then continue scrolling for more fabulous ideas!